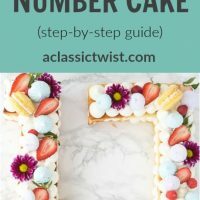 Thank you National Dairy Council for sponsoring this post! All opinions are 100% my own. Nothing says “the holidays” quite like getting together with friends and family and enjoying a hot beverage as you catch up and spend quality time together. I mean let’s face it, it’s cold and some of us have snow already! 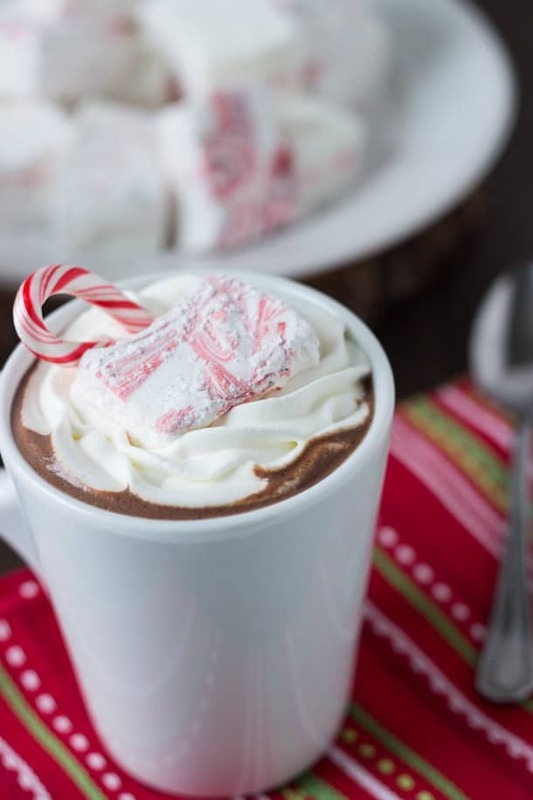 ‘Tis the season for hot cocoa and marshmallows and PEPPERMINT! Yes, I am breaking out the peppermint now. Get ready for a whole lot of it (#sorrybutnotsorry)!! But let’s start first with some homemade hot cocoa and marshmallows; a holiday staple (and classic). 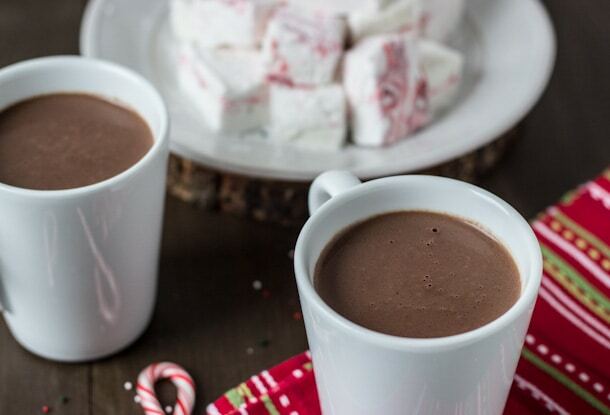 Let’s start with this rich and chocolatey homemade peppermint hot cocoa. It’s extremely easy to make your own real deal hot cocoa. It’s just a matter of combining pure 100% chocolate with milk, a hint of vanilla (to balance the flavors) and peppermint extract. Simmer all together until chocolate melts and you have a thick, rich mixture. To make sure everyone in our family can enjoy this goodness, I used Lactaid to make a big batch of hot cocoa. 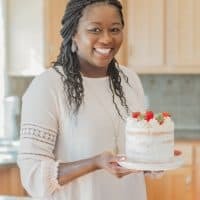 With different food sensitivities, it’s important to create meals and treats that everyone will enjoy, including those with lactose intolerance. Of course, a cup of hot cocoa is not complete without marshmallows!! Homemade marshmallows have been on my bucket list for years!! 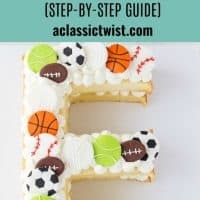 I finally got to make them this past weekend and my goodness they are good!! Nothing like the store bought ones in a GOOD way. And they are not difficult to make as I had imagined and would be a great project this long holiday weekend with family in town. 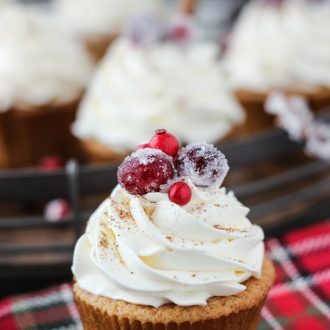 I can see the little ones enjoying playing with the powdered sugar and getting creative with the flavor possibilities. You can go crazy with the add-ins seriously! I went with peppermint because… well I am a HUGE fan!! Please agree with me that there is nothing better than homemade rich and chocolatey peppermint hot cocoa with some marshmallows. Or maybe some hot cocoa with a serving of whole grain oatmeal cookies! 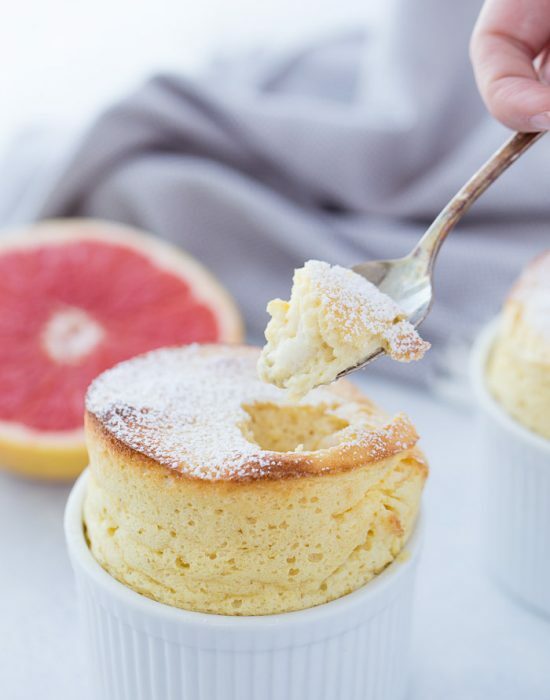 If you are looking for more lactose-free recipes, be sure to visit the National Dairy Council for more recipes. In a medium saucepan, grate the chocolate bar. Add in milk, sugar, vanilla extract and peppermint extract. Bring mixture to simmer (do not boil) until thick and chocolate is melted. In a medium saucepan, combine the rest of the water, sugar and corn syrup. Bring to boil over high heat. Once boiling, use a candy thermometer and cook until the mixture reaches 240 degrees. Remove it from heat. Using a mixer on low speed and using the whisk attachment, mix the gelatin mixture. With the mixer on, pour the hot sugar mixture into the gelatin mixture. Pour down the side of the bowl to avoid splashes. Gradually increase the speed of the mixer to high and beat the mixture until stiff peaks form, about 10-12 minutes. Add in vanilla and peppermint extract. Mix for additional minute. The mixture should be cool. Pour the mixture into the prepared pan using a silicon spatula. Smooth the top with an offset spatula. Add a few drops of red food coloring and using a butter knife, swirl the coloring on top. Let cool and firm up at room temperature, uncovered, for at least three hours or better yet overnight. I participated in this sponsored campaign on behalf of One2One Network. All opinions stated are my own. Thank you for supporting the brands that support and keep me inspired. Haha, well I was totally off on my guess (but I thought I would be!) 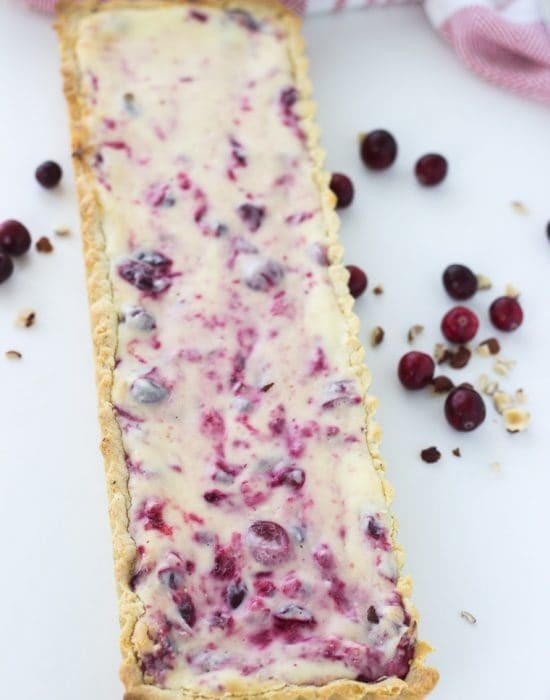 I guessed this was something made with cranberries. But I’ll take the peppermint and a cup of this hot cocoa too! Hahha I saw that and I said to myself…now that’s a great idea!! I shall try cranberry next. Thanks Julie! I looooove making homemade marshmallows! Isn’t it so fun? And they’re SO much better than store bought in all the best ways. 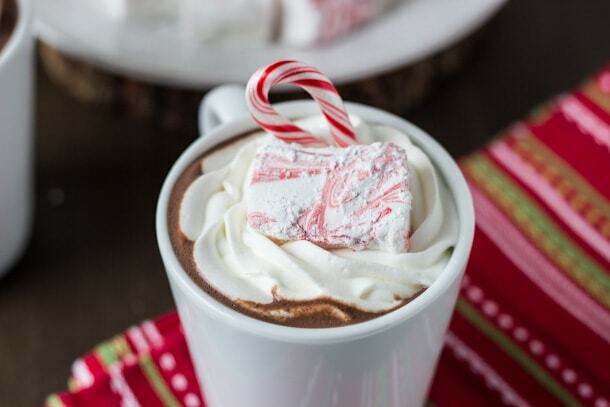 These peppermint swirl ones are beautiful, and that hot cocoa looks so rich and creamy!! It’s so much fun!! I love getting sugar all over my hands and counter lol! Thanks Sarah! Yum I could use a cup of peppermint cocoa on this cold rainy morning! Me too!! Stay warm dear! Wish I had a mug of this hot cocoa in front of me right now! I love home made hot chocolate and marshmallows. They are SO much better! The swirls of peppermint sound amazing in the marshmallows. So much better indeed 🙂 Thanks Julia! I need to try making my own hot cocoa this winter! I see all these delicious recipes! And those marshmallows – YUM!!! Yes!! It’s a 5 mins ordeal!! Wow I seriously need a mug of this now! It looks so comforting and beautiful. Ya know…I keep seeing recipes for homemade marshmallows and I’ve yet to make them – I think it’s time! This hot cocoa looks incredible! Those marshmallows are perfection. And that hot cocoa is clearly going to be made by me very very soon. 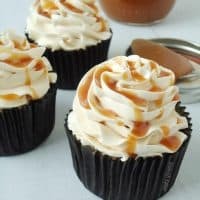 Awesome recipe!! Wow, what a gorgeous mug of hot cocoa!!! I still have not made homemade marshmallows, yes I’m a slacker,lol. 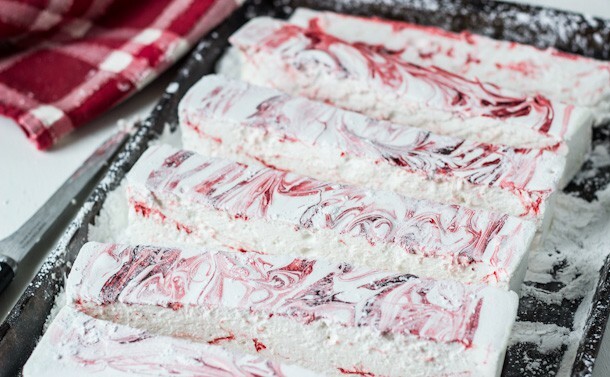 I love all things peppermint, so this might just convince me to make them! Oh I was a slacker too until this weekend. SO you have plenty of time Lisa! 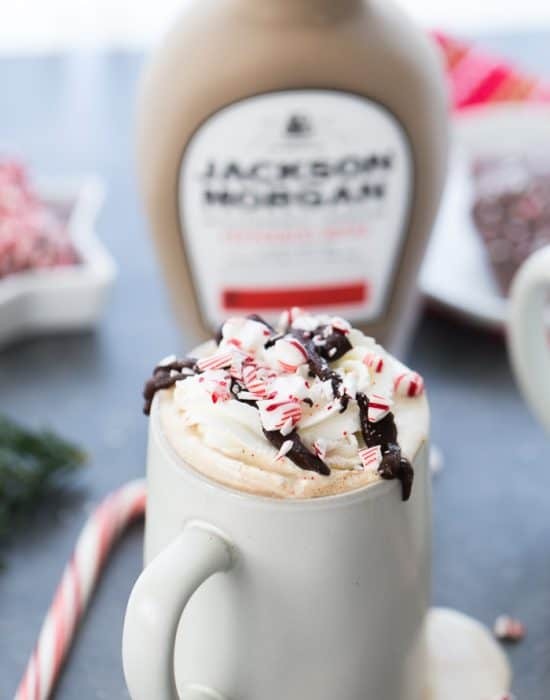 I am a HUGE peppermint hot chocolate fan and a fan of all things peppermint in general – so.. I am going to try your hot chocolate recipe as it looks downright heavenly!! My sister and I were just talking about marshmallows yesterday – she asked me what kinds she should make this year and peppermint was definitely on the list! Peppermint is always welcome on the list!! Z, you made your own homemade peppermint marshmallows?!!! I am so in awe of you girl!!! love love love!!! (I just made a similar hot chocolate recipe for something in December so looks like we were both spending the weekend curled up with hot cocoa!) and saw that you got snow! so perfect timing for this, yo! love it!! Yes girl I did!! After two trials, I nailed it. Was so proud lol! 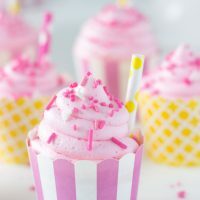 Love those pretty marshmallows! Homemade marshmallows are the best in hot chocolate. I could use a big cup of this to warm up in this friggid weather! 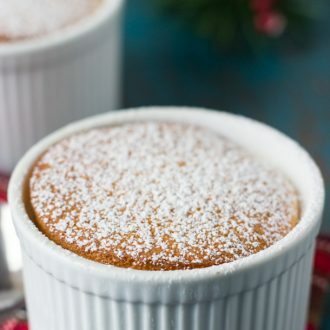 I haven’t made my own marshmallows yet, but think that a little package of them along with hot cocoa powder in a big mug would be such a great gift. It totally will be!! I’m hoping I can make another batch to gift friends. Love the homemadeness!! Great idea Zainab, and they both look so beautiful together! I don’t even like peppermint in my desserts but these marshmallows look so pretty! They’d be great to give along with some homemade hot chocolate mix for Christmas. I saw this on Instagram and swooned at the thought of some hot chocolate! I’m saving up my appetite for a afternoon cup.. thanks for the yummy idea! Can I just say how happy I am that you are jumping the gun and breaking out the peppermint already? I know we’re supposed to get through Thanksgiving first, but I’m ready for peppermint and chocolate! Ohhhh yes – I am all about the peppermint now! Tree is up and ready to enjoy. 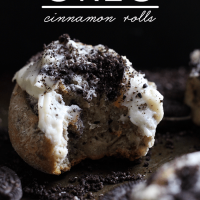 These look amazing – pinned! I saw your tree was up already!! So jealous!! It’s winter 🙁 But thanks for hot chocolate!! 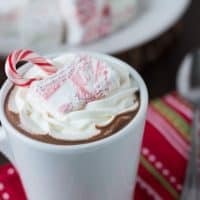 This is just the prettiest cup of hot cocoa I’ve ever seen, and I’m a huge peppermint fan! Those marshmallows look so delicious, and I love the idea of making hot chocolate with real dark chocolate. Pinned! Yes the real dark chocolate makes it so rich. But you do need a little sugar to sweetened it! i would drink this over any Starbucks drink any day! I gotta get my marshmallow game on though! Marshmallows are on my bucket list this year too! Love the peppermint swirl! Love, love all things peppermint at Christmastime. This mug of cocoa looks so cozy and scrumptious! My son is tugging at me to make his favorite peppermint brownies and I’m going to do it Wed. Wish we could have this homemade cup of goodness alongside! 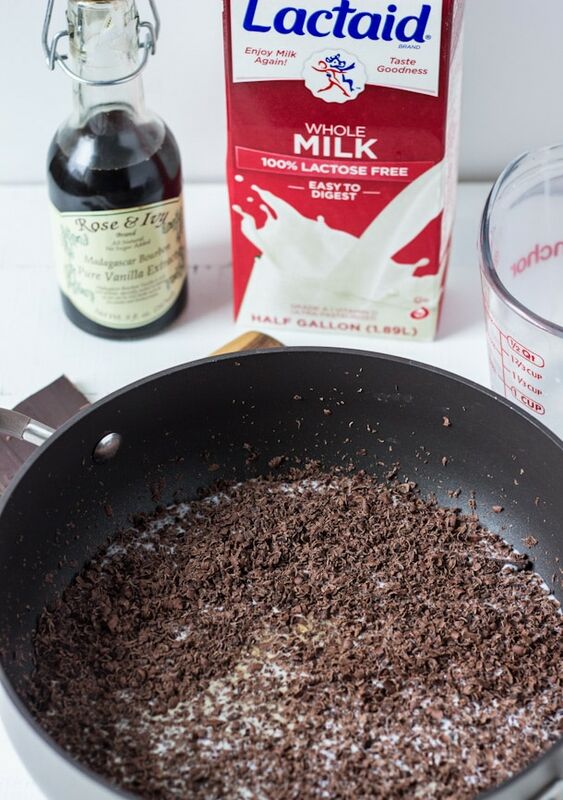 These take only 5 mins to make so definitely as your brownies bake, you can whip this up on the stove! I flat out think you are amazing! What a charming fun idea. What a way to dress up on chocolate. Kind of magical. We got a bunch of snow today (blech) and this hot cocoa would totalllly hit the spot!! AND it’s gorgeous-I love those peppermint marshmallows! It’s all making me so excited for CHRISTMASSSSSS! These Peppermint Marshmallows almost make me think I could give homemade marshmallows another try… my first try (many, many years ago!) was not so great! But these look amazing! You should Ashley. I had to try twice to get it right. homemade marshmallows are the best and there really is nothing quite like REAL hot chocolate! These are FOR REAL the ultimate in fall beverages. The homemade mallows are the perfect touch! Oh wow! This is the perfect drink to sip on for these cold winter days! Yes! Peppermint hot chocolate is the best! Peppermint marshmallows were incidentally one of my very first recipes I’ve ever blogged (well, they were peppermint cinnamon), so they have a special place in my heart. These look fantastic! Pinning! Oh, I really want to try making my own marshmallows! Oh my freaking goodness give me now!!! 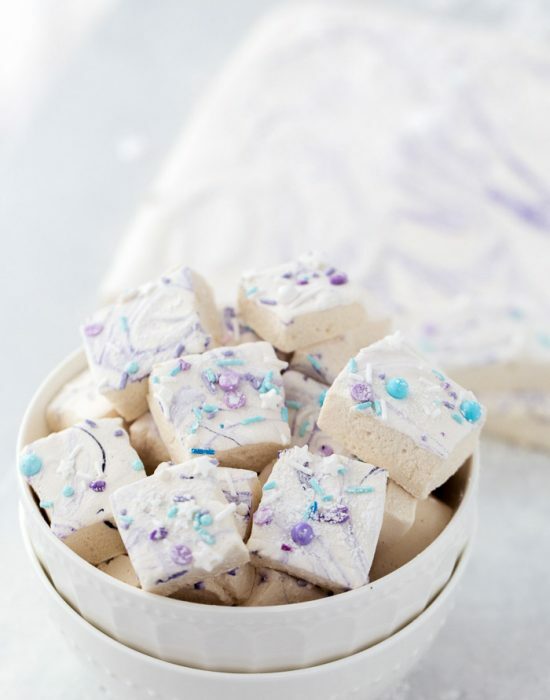 LOVE peppermint and these marshmallows look absolutely stunning! And hot chocolate… YES. I’m so ready for this! Zainab, seriously, you’re killing me. Nothing says “Christmas” to me more than a creamy cup of peppermint hot chocolate. You’re a total boss for making your own marshmallows! Everything in this post is perfection – the photos, the styling, the marshmallows. Love this! I love this Zainab! There’s something extra special about homemade marshmallows, especially when paired with this hot cocoa! Perfect for warming up with after coming in from the cold! There really is 🙂 Thanks Alyssa! Thanks for sharing! Hot chocolate is one of my favorite things to drink in the winter (and year round, YES, I drink this stuff in July!) so I’m always excited when there’s a new recipe or twist on hot chocolate. The peppermint marshmallows on it look divine, the perfect combination. Pinned! OK your post has given me the push I need to try making my own marshmallows!!! These look SO good and I’m a sucker for anything pepperminty. You have to make them! !